Young’s Cove and Copeland’s Cove provide safe docks for some individual property owners. The remaining exterior lots were initially maintained with the intention of providing access to the island’s interior lots. 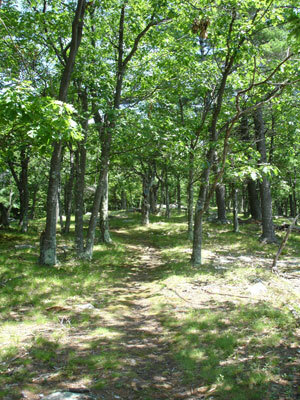 Rattlesnake Island has several hiking trails. The trails extend over the middle of the island's highest peak giving way to awesome views of the surrounding area.